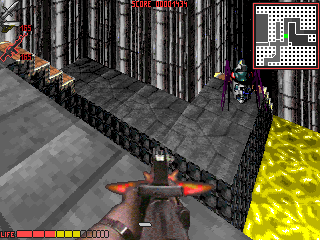 The demo features one large level, with a sampling of enemies and weapons from the full game. This is a fantastic level that really got me excited about delving deeper into THB. 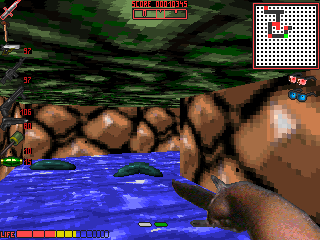 Be warned, the demo level is very difficult. 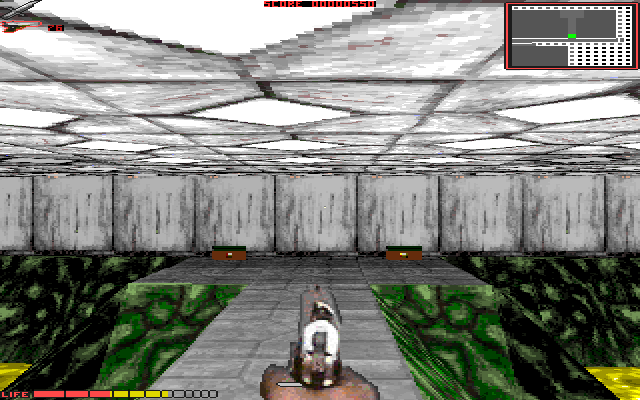 The full game has a much slower ramp-up. Also, note that the demo does not include sound or music. If you have the full German version installed, you can install the demo and it will use the full version files to play the excellent sounds and music. If you want to hear the sounds, check out one of the other demo versions below (but the game will be missing death animations and mouse support). There are two readmes: A long general readme in the zip, and a short demo-specific readme after you install. I've translated them both here for your convenience. Also I've provided the German readmes since they are in a non-standard format. Thanks to Hallfiry of KultCDs.com for these alternative demos! - No death animations or mouse support but music and sound work. - Very early menu: No Soft Enterprises logo, stars don't "fly", demo screen before game starts. - A major bug: If you quit armed with a gun and restart, you won't be able to use the knife. 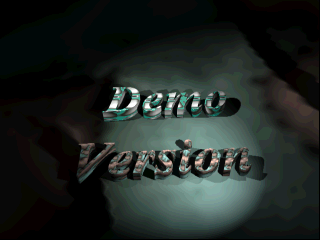 A slightly different version of this demo was included in the "Best of Select Games Special 4" CD-ROM compilation. 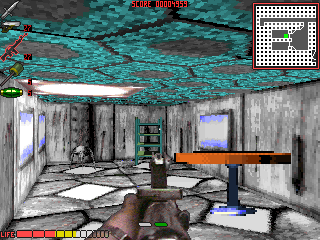 The code for the demo is identical, but the editors placed their branding prominently on it, for example by putting "Select CD-ROM" in the high-scores table. Interestingly, the editors included a short review of the demo in German and some other languages. I have translated it to English here. - The level design of the catwalks area near the beginning has changed significantly. The green elevator is missing, and the area has been simplified to make it clearer where to go. 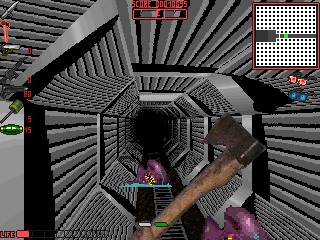 The devs probably had reports of people getting stuck in this part, but they simplified it too much in my opinion. 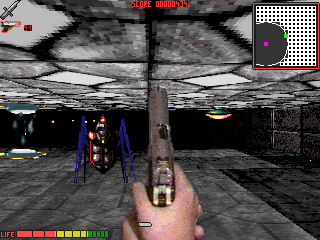 - Removed the background sounds in the final boss battle. Probably did this since the sounds continued even after the monster died. - Default resolution is HiRes and can't be changed due to a bug. Trivia: There is one enemy in all versions of the demo that to my knowledge does NOT appear in the final game, the blue slug pictured below. Keep an eye out for it!